"Pro Evolution Soccer 2011 was released in 2010-2011. The UEFA Champions League and UEFA Europa League are featured within the game, and for the first time in the series, UEFA Super Cup and CONMEBOL's Copa Libertadores are fully licensed." "With an exclusive deal with UEFA and CONMEBOL, the UEFA Champions League, the UEFA Europa League and, for the first time, the UEFA Super Cup and Copa Libertadores are fully licensed. The tournaments are integrated into the Master League mode, and for the first time in the Master League Online mode. UEFA Super Cup and UEFA Europa League, however, are only available on the PC, PS3, and Xbox 360 versions." The game contains 79 national sides. "The Copa Santander Libertadores tournament is featured for the first time, such as its teams, which are fully licensed, but cannot be selected for play in any other game modes. The following is a list of the competitors"
"Like previous versions, there is also a separate two leagues with 18 empty teams (PES League and D2 League), each of which can be edited fully. Since its introduction, it has become very popular amongst the PES community, and as a result, they are usually made into the Bundesliga or another league of one's preference by patch makers. All the teams are entirely fictional." 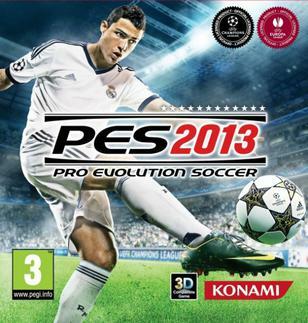 "Pro Evolution Soccer 2012 is the eleventh edition in the Pro Evolution Soccer series developed and published by Konami. Lionel Messi, who was the cover star for the series since PES 2009, was replaced by PES 2008 cover star Cristiano Ronaldo, while Shinji Kagawa replaces Messi as the cover star for the Japanese version. The US and Latin American cover features Santos player Neymar and Cristiano Ronaldo." The game contains licensed UEFA Champions League, UEFA Europa League and UEFA Super Cup competitions along with the Copa Santander Libertadores. The Primeira Liga was included for the first time in series with three licensed teams. For the first time of the series, all 20 teams from the Brazilian national league, Campeonato Brasileiro Serie A, are included in the game series. The UEFA Champions League features in the game. "The game features a modified version of the new Fox Engine. The UEFA Champions League, UEFA Europa League and UEFA Super Cup competitions are fully licensed in the game, and the First Playable UEFA Europa League without entering Master League, Become a Legend, and/or League"
"For the first time, the game features an exclusive license for the AFC Champions League, the Argentine Primera División, Chilean Primera División, and Arabic, Argentinean and Chilean commentary"
Rain was not included in PES2014 due to the engine upgrade. The Stadium Editor and La Liga stadiums were also excluded due to licensing issues.